The Roots of Grief and its Complications. By Colin Murray Parkes. Loving and grieving are two sides of the same coin: we cannot have one without risking the other. Only by understanding the nature and pattern of loving can we begin to understand the problems of grieving. 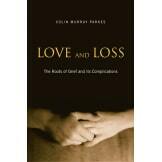 Conversely, the loss of a loved person can teach us much about the nature of love. • Love and Loss, the result of a lifetime's work, has important implications for the study of attachment and bereavement. In this volume, Colin Murray Parkes reports his innovative research that enables us to bring together knowledge of childhood attachments and problems of bereavement, resulting in a new way of thinking about love, bereavement and other losses. — social isolation and support. • The book concludes by looking at disorders of attachment and considering bereavement in terms of its implications on love, loss, and change in a wider context. • Illuminating the structure and focus of thinking about love and loss, this book sheds light on a wide range of psychological issues. 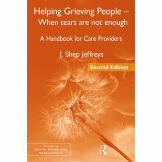 It will be essential reading for professionals working with bereavement, as well as graduate students of psychology, psychiatry, and sociology. "Love and Loss manages to be both academic and written in prose that dances with love around its subject."